The human species has never been more out of sync with the rhythms and wisdom of our natural world. We have forgotten our intrinsic connection with all of creation and this false belief in our ‘separateness’ is at the root of our suffering. But there is a beautifully simple way back, writes Anita Sanchez, author of the upcoming book, The Four Sacred Gifts: Indigenous Wisdom for Modern Times. Look around you. Look at your community, your town, your city, state and country. Look at the world itself. Look at our media, our politics, our businesses, our culture. Everywhere, people act as if they are separate, alone. Everywhere, people think and behave in ways that cause needless suffering, further division and reckless destruction. 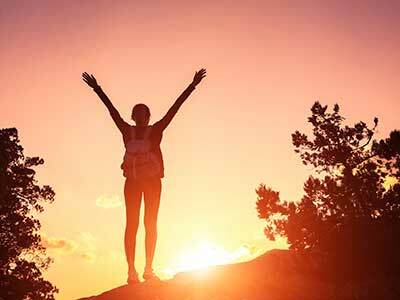 As you see all the cruelty, arrogance and suffering, you may want to withdraw from the people or situations around you, but there is another way to live, work and be. As our thoughts and minds fill to bursting with more reasons to separate from perceived ‘otherness’ all around us in life, at home and at work, we can take a deep breath, open our hearts, and remember that we all come from indigenous ancestry. Each of us, regardless of skin color, can trace back our roots to the earliest of our human ancestors. Our people once lived close to the land, depending on the earth’s cycles and seasons for their very survival. From this shared truth, we can begin to imagine ourselves as ONE race: the human race, in all our beautiful presentations. In fact, we can imagine ourselves as one with the earth and all its creatures. This is what it means to live as a whole human being, understanding the joy and responsibility of living in harmony with all beings, knowing that we are all connected, we are all one. When we let all of those connections in, our hearts are healed. When we allow our healed hearts to guide our behavior, our lives find a deeper meaning. To more deeply consider this work of our hearts, we can draw on Mohican Don Coyhis’ vision of a sacred hoop surrounded by one hundred eagle feathers. In 1994, this Eagle Hoop Prophecy came into our world in a ceremony where revered indigenous elders from Asia, Africa, Europe and the Americas joined together to offer four gifts to humankind that they believe we all need to receive in order to do the sacred work of remembering our oneness. These four gifts are our inheritance, our joy and responsibility as human beings. Each calls on us to deepen our connection to all of our relations, all of creation. As we embrace these gifts and wisdom, we illuminate our true purpose, heal our past, deepen our relationships, and we become a powerful source of inspiration and leadership for the well-being of the earth and all humankind. This is the story of a coming springtime after a long winter; this is our path to individual wholeness, and harmony and connection with the earth. Looking for the science behind the mind body spirit link? It exists. Heal your past, discover your true purpose, and become a powerful source of inspiration and leadership with The Four Sacred Gifts, a collection of Aztec and global indigenous wisdom for modern life.Given the ongoing changes in our economic, social, political, and physical environment, we are often left gulping for air as we ride the powerful waves of change. Modern life overloads us with information yet lacks the true wisdom we seek. In this book, a group of global indigenous elders pass down their four most essential, agreed upon tools to help you fulfill your truest desire for meaning, wisdom, and heartfelt connection. During these times of great change, indigenous wisdom is needed now more than ever to live the fullest and healthiest lives possible. 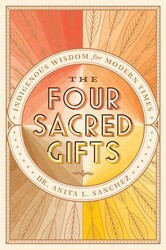 The Four Sacred Gifts offers an indigenous worldview based on the concept that we are all one relation, and we can all embrace and benefit from the Gift of Forgiving the Unforgiveable, the Gift of Unity, the Gift of Healing, and the Gift of Hope. These four powerful gifts will guide you to healing and transformation, supporting your journey to wholeness. By following the indigenous principles, lessons, and tools found in this book, we can all experience personal breakthroughs and conscious, societal evolution for humanity. Living in deeper harmony, all of us can thrive together for future generations.